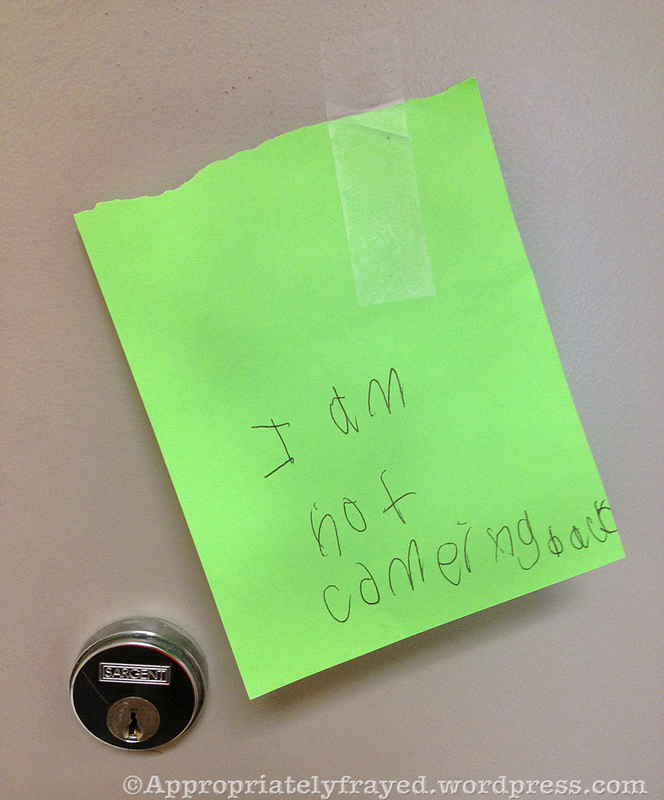 Last week I came across this note attached to the door of the classroom across the hall. My friend’s seven year-old son had left it for her that morning. It made me laugh and got me thinking. I realized that as a child I had never tried running away. Some people run because of anger, boredom, a desire to travel – so what was wrong with me? Maybe back then life wasn’t so bad where I was or maybe my sense of adventure was still developing. Now it would be so easy to compile a list of exotic destinations from Paris to Istanbul, dreams of the Orient Express or steamers across the ocean.Of course during the school year, it just isn’t practical or affordable.Lately though, at least for the last three weeks, it seemed I’d run away from my blog. 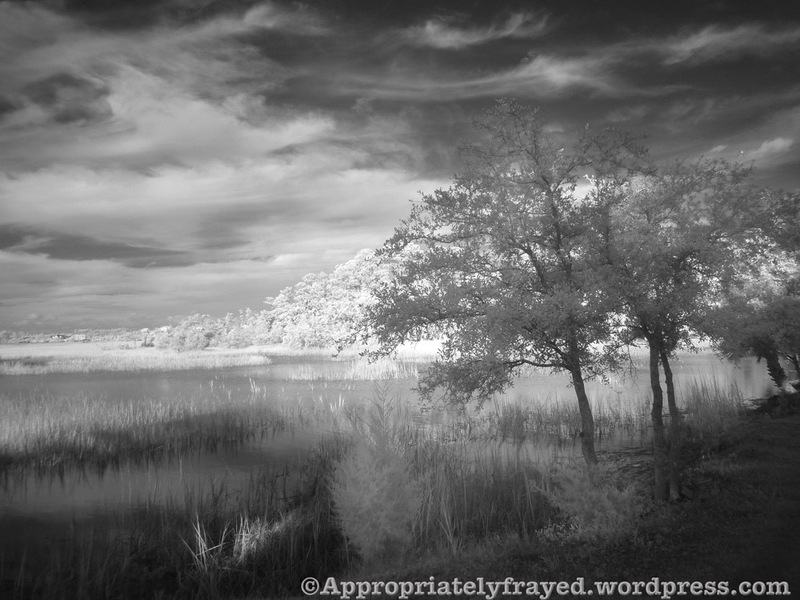 Inspiration evaporated, my lonely camera sat silently and unseeing on the counter, I felt caged. So , yesterday I ran away from home for a few hours .The fresh air helped to banish the stale ideas and fears.The fantasy aspect of my destination revived my imagination.The shadows inspired my camera. Running away was a healthy choice and in tomorrow’s post you’ll see some of the results. On days or weeks when there are nagging worries, it’s so easy to embrace the negative. Strength in numbers, misery loves company, or whatever the appropriate phrase, I find myself submitting as well. It’s what I imagine drowning to be like, being pulled deeper downward and seeing darkness, feeling cold , and in my case craving chocolate or any form of sugar.Like any other vice, once you’re hooked, it’s so difficult to break that hold. People commiserate and support your feelings. You begin to believe you have been wronged, cosmically or intentionally.You see only your point of view and your Greek chorus of naysayers become backup singers.Giving up that level of comfort is difficult, but no more so than losing the first twenty pounds or only shopping when you need something.Finding a substitute to provide comfort is worth the search.For me it’s sunshine. Like plants, I tend to lean into the sun. Literally. In my classroom at lunch, you may find my chair pulled up to the window so I can recharge.At home, I open blinds, drapes, curtains, any barriers to the light. Maybe I was a cat in a former life, but it’s where I choose to be. When I shot this photo, the sun on the other side of the pond beckoned the trees and they obviously are reaching out toward the light. It’s my best practice against believing I can be defeated by those unidentified powers that be when they choose to intrude into my daily life for no good reason. The wind in the leaves and birdsongs are more affirming that the sounds of wallowing .